Keeping the competition commission at bay? 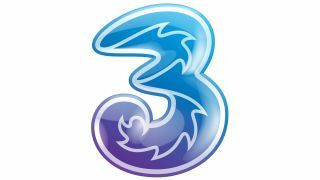 Three has reached an agreement with Everything Everywhere over the purchase of 1800MHz spectrum, following Ofcom's controversial decision that it would allow EE to re-allocate the 1800 MHz spectrum to 4G. The news means the UK's numerical network can now begin deploying its own 4G network ahead of the spectrum auction in 2013 subject to clearance. "As part of the commitments given when the European Commission approved the merger of Orange and T-Mobile in the UK in March 2010, Everything Everywhere was required to divest 2x15MHz of its 1800MHz spectrum" said an Everything Everywhere spokesperson in a statement sent to TechRadar. "In accordance with these commitments, Everything Everywhere has today announced an agreement with Three [to transfer the spectrum]. Ofcom and the European Commission will review whether the divestment satisfies the merger commitments and a response is expected within the next three months." It's unclear how much the transaction was for, but it's likely to be far less than the £450m figure mooted earlier today, as the amount the spectrum sells for will have a bearing on how much other frequencies cost during the upcoming auction. A section of spectrum in the auction was supposed to be reserved for a smaller company, which was previously set to be Three, but now the 1800MHz section has been sold off it's likely that position will change. "Acquiring this spectrum will more than double the capacity available to customers on our network. We have seen a huge growth in data consumption with average customer usage now more than 1.GB per month" said a statement to TechRadar. "New spectrum, supported by further committed technology spend, is a clear signal that we are committed to maintain our lead as the network built for the internet." The news comes on a busy day for network news, with Ofcom's judgement being met with anger by other networks and Everything Everywhere confirming it would be creating a new third brand by the end of the year and denying it was scrapping Orange and T-Mobile.